Edit flip videso, clip videos and crop videos! Wanna combine a series of Flip video clips, add special effects, and perhaps add music and subtitles to make a single video? Wanna create a DVD media from video clips captured by SlideHD, MinoHD, UltraHD, or Ultra Flip camcorders? 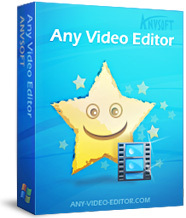 AnvSoft Any Video Editor is a full-featured editing package that you will need to edit your Flip videos. With the help of this professional Flip video editing software, you can easily turn your Flip video clips into a best-ever movie by applying fantastic transitions and video effects, overlaying video, mixing audio tracks, adding srt subtitles and image watermark. 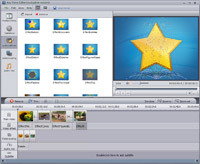 Moreover, Any Video Editor gives you multiple output options to save your Flip videos. 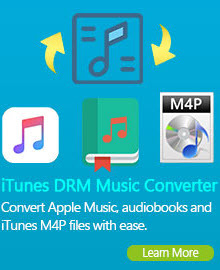 You can either convert your Flip video to AVI, WMV, MPG, ASF, MKV, M2TS, FLV, and MP4 for a wide range of multimedia devices such as iPad, iPod, iPhone, Apple TV, PSP, PS3, mobile phones, etc., or burn Flip videos to DVD and Blu-ray discs for playback on TV. Start editing your Flip videos with AnvSoft Any Video Editor now and enjoy your entire Flip video collection anytime, anywhere! Edit videos and photos from SlideHD, MinoHD, UltraHD, & Ultra Flip camcorders. 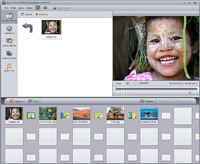 This Flip Video Editor not only supports Flip mp4 video input formats, but also supports importing various other video, audio and image formats like AVI, MPEG-1, MPEG-2, MP4 (including H.263, H.264, and other codecs), WMV, ASF, 3GP, MOV, QT, VOB, MOD, AVCHD (M2TS, MTS, TS, TP, TOD), FLV video files; MP3, WAV, WMA, OGG, AAC audio files and JPEG, PNG, BMP, GIF image files. Convert both standard and high definition Flip videos with transitions, effects, music, photo, and watermark to all popular video formats including MP4, AVI, MPG, FLV, 3GP, 3G2, and MPEG-I, MPEG-II. 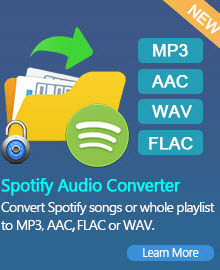 With rich built-in preset profiles, this Flip Video Converter allows you to convert Flip mp4 videos to the correct sizes and formats for iPad, iPod, Zune, iPhone, Apple TV, Gphone PSP, PS3, Sony Walkman, Blackberry, Xbox 360, Archos, Creative Zen, Sandisk, iRiver, Wii Nitendo, Nokia, Mobile phone, etc. When all edits are done, you can burn Flip videos to a CD-R/RW, DVD+/-R, DVD+/-RW, DVD-RAM, Double/Dual Layer disc. Besides, you can burn Flip videos to Blu-ray discs too! Apply transition and effect, overlay video, mix audio, add watermark and subtitles. There are lots of preset transitions and video effects to be added to the Flip videos to join separate episodes smoothly with each other. With the amazing transitions and artistic video effects, you can create professional-looking movies. Superpose a video or an image over the Flip video clip that is going to be edited and mix up multiple audio tracks and video. Import an image file to create a unique watermark to brand your Flip video creations and insert external srt subtitles to your Flip videos. Adjust output parameter settings like video codec, video size, video bitrate, aspect ratio, audio codec, audio bitrate, and audio channel to meet your specific needs. Easy to edit Flip videos in batch with super high output video and DVD quality! The intuitive interface enables you to finish the conversion only with a few clicks, even if you are a beginner. This Flip video editor all edits in real time without rendering the entire project. This Flip Video Editor gives you the ability to do batch conversion. Add multiple Flip video files into the program, and then edit them on a flexible timeline and storybox. The video encoding and DVD burring speed of this Flip video editor is amazingly quick and fast! The output quality is the same as the original Flip movie. The Flip Video is a simple camcorder for digital video created by Pure Digital Technologies, a company bought by Cisco Systems in March of 2009. Variants include the Flip Ultra, the Flip UltraHD, the Flip Video Mino, and the Flip Video MinoHD. The standard definition Flip camcorders record in 640x480 resolution at 30 frames per second, using the MPEG-4 ASP video compression. The high definition versions record at 1280 x 720 resolution using H.264 video compression, AAC audio compression and the MP4 file format.